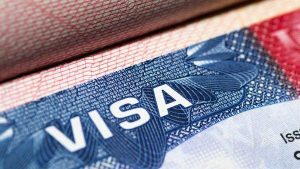 If you are someone who lives in a country that is a part of the Visa Waiver Program and you are planning to travel to the United States, then you will need to apply for an ESTA for USA trips. The ESTA is an electronic pre-boarding authorization that is used to confirm that you are eligible to enter the USA. It is a simple process that simply involves you filling out an online application form and providing information about your identity and your likely (they do not have to be firm) travel plans. The ESTA for USA travel is a multi-trip authorization, and while there is an application fee, it is not expensive. This means that it is well worth applying for the ESTA as soon as you start making travel plans. In most cases you will get an answer back within just a few minutes. There are some people whose applications take longer, though. This can often happen if you have a very common name or if it is hard to prove your identity because you have moved around a lot. Even if it takes a little longer to get approved, this should not be a cause for concern for most people. If you wish to apply for an ESTA, be sure to do so via the official government website. There are third parties that promise to help people apply for the ESTA but there is no reason to use their services. They cannot make the process go any more quickly, and they do not have any access to information that you could not access for yourself. Do not spend extra money to get your ESTA application processed. If you have any questions or concerns call the US Embassy in your country to take advantage of the help that they can offer.